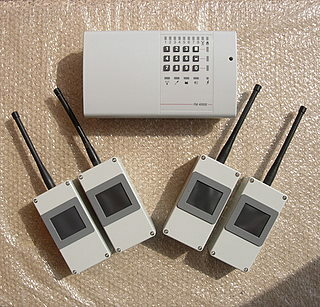 Similar in principal to the single-channel system, but using our top-of-the-range 8-channel receiver and four external weatherproof sensors to provide coverage of a wider area. The 8-channel receiver will provide visual indication of which sensor has been triggered. The system is supplied with four sensors, and may be expanded to a maximum of 64. For accessories like pagers, sirens and telephone diallers, see our FarmGuard section.